SoxProspects.com Director of Scouting Ian Cundall got a close-up look at top pitching prospect Jason Groome during his start in a Low-A game. Included in the story is a video of the young left-hander in action. Groome allowed just one baserunner in 2 2/3 innings of work, striking out two. Cundall also scouted Mike Shawaryn, Yorvin Pantoja, Mitchell Osnowitz, and Ramfis Berroa. 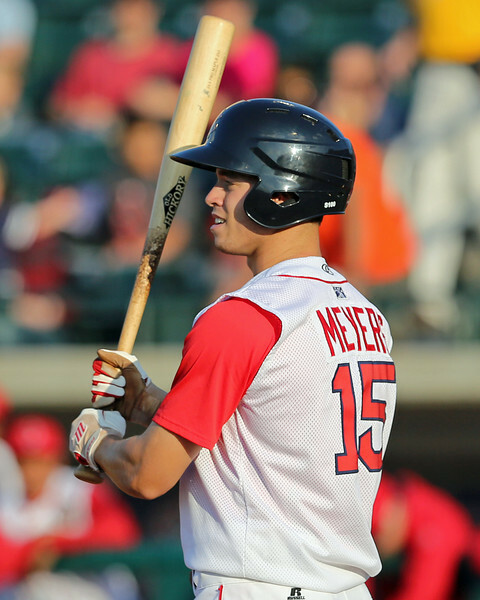 SoxProspects.com Managing Editor Matt Huegel sat down with 2016 second round draft pick and shortstop, C.J. Chatham (pictured, right). The 21-year-old Florida Atlantic product discussed where he hopes to play defensively and touched on the adjustments he made in Lowell that saw him finish the season on a .303/.378/.530 tear. The Red Sox optioned Steve Selsky to Triple-A Pawtucket on Monday after giving him a long look this spring. The club also reassigned right-hander Kyle Kendrick, who has impressed this spring, and lefty Edgar Olmos to minor league camp. FORT MYERS, Fla. -- When the Red Sox selected shortstop C.J. Chatham out of Florida Atlantic in the second round of last June’s draft, the questions began almost immediately about where he would play. At a lanky listed height and weight 6-foot-4, 185 pounds, Chatham looks taller and lacks the fast-twitch actions that one would expect from the prototypical major league shortstop. But at the back fields of Fenway South during his first minor league spring training this month, Chatham showed the same actions and ability that he had in his Lowell debut that has allowed him to make his size work at short. Though he may never look as smooth as smaller, quicker shortstops, he currently projects to maintain around average defense with a plus arm. Still, while acknowledging the work ahead of him to become a major league shortstop, Chatham expressed a willingness to follow whatever plans the Red Sox organization lay out for him going forward. Josh Ockimey (pictured) was a bright spot in the system during the first half of the 2016 season, but he struggled in the second half after opponents began employing a shift. 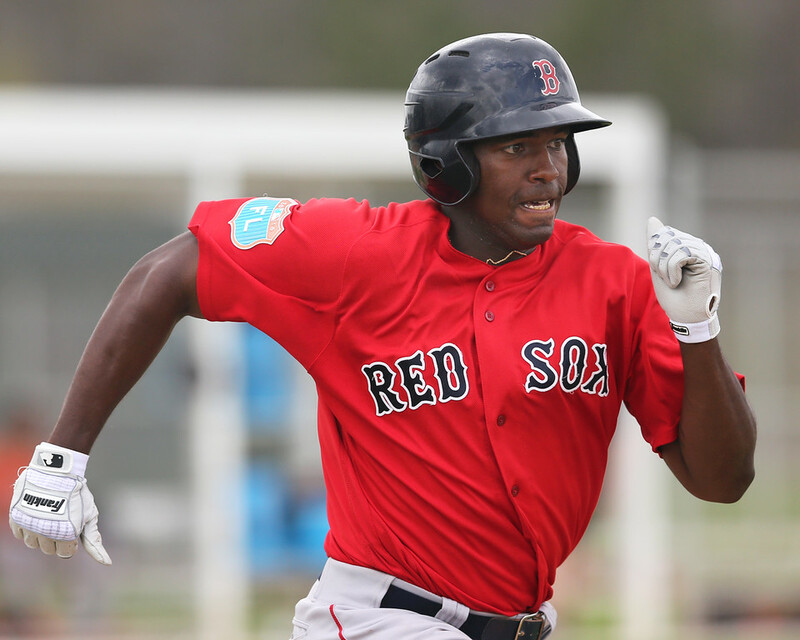 Ockimey talked with SoxProspects.com's Managing Editor Matt Huegel about the adjustments he has made after his second-half slump and what he has done to prepare himself for his second full-season assignment. In the most recent episode of the SoxProspects.com podcast, Executive Editor Chris Hatfield and Director of Scouting Ian Cundall talk at-length about their look at Jason Groome while also discussing many other pitchers and hitters in the low-minors. The podcast also features Hatfield's interview with Mike Myers about his experience playing with Team Israel in the World Baseball Classic. The Red Sox optioned Noe Ramirez, Deven Marrero, and Blake Swihart to Pawtucket, and also reassigned eight other players to minor league camp. Brian Bogusevic, Rusney Castillo, Allen Craig, Matt Dominguez, Jake DePew, Dan Butler, Sam Travis and Hector Velazquez all were sent down, leaving the Red Sox with 40 players in major league camp. With Fort Myers in the rearview mirror, Chris and Ian stick a set of chopsticks into Spring Training. Chris sits down with Sox farmhand and member of the upstart Team Israel team, Mike Meyers. Ian elaborates on the Jason Groome experience. Chris and Ian review the A-Ball pitchers and hitters from the end of the Spring Training trip. Chris swerves by his standing rant about how the Rule 5 draft hurts Latin players. 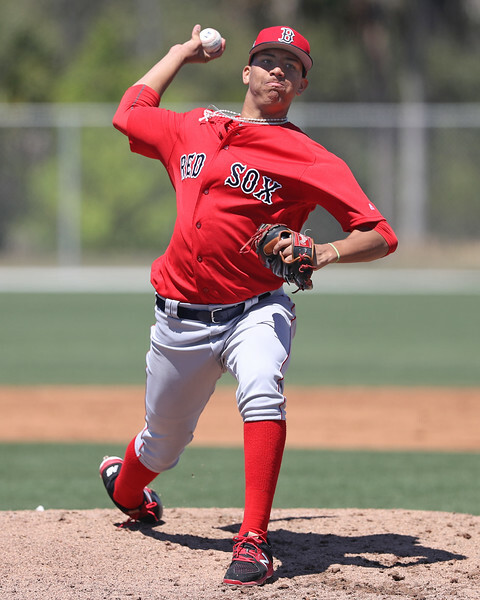 Tyler Hill makes another Podcast appearance as the Sox continue to trial him in center this spring. Listen in! 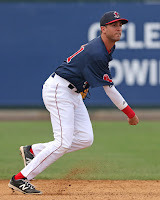 The SoxProspects.com staff is still down in sunny Fort Myers cranking out more content from Red Sox minor league camp. Make sure to check out Monday's Fort Report for some terrific videos and scouting reports that you may have missed earlier this week. 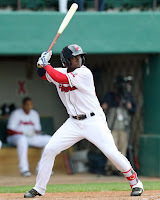 SoxProspects.com's Executive Editor Chris Hatfield talked to 23-year-old Mike Meyers (pictured) about his World Baseball Classic experience. Hatfield spoke with Meyers about the buildup to the tournament, his moment in the WBC opener, and what has Meyers as motivated as ever rejoining Red Sox camp. 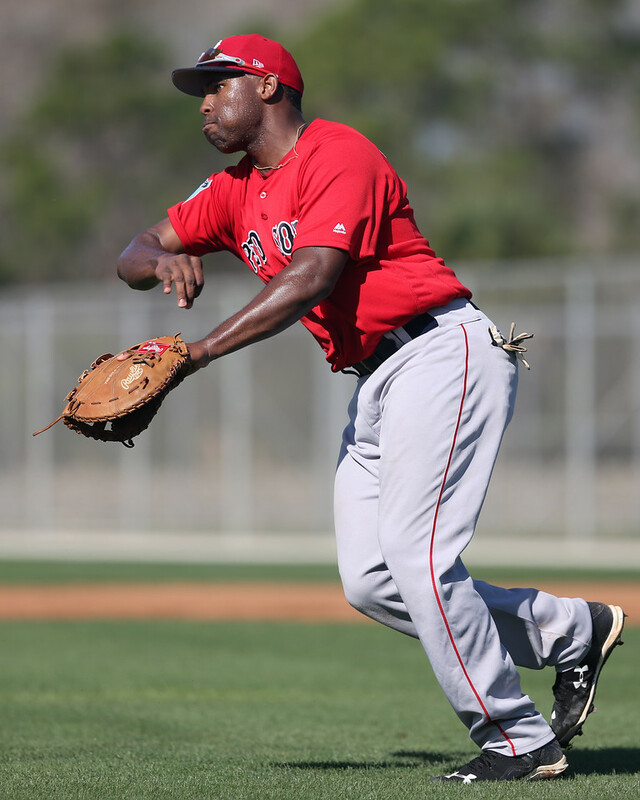 The 2012 12th-round pick is projected to begin the year with the Portland Sea Dogs. Be on the lookout for the next SoxProspects.com podcast to hear audio of the conversation between Meyers and Hatfield. FORT MYERS, Fla. -- Josh Ockimey raced out to a hot start last season in Greenville. By the South Atlantic League All-Star Break, he found himself with a .297/.435/.531 line. Perhaps most impressively, he had just 61 strikeouts compared to 52 walks over 61 games. Things could not have been going better when Ockimey belted his 10th home run in his final game before leaving to partake in the All-Star Game. But upon returning, the challenges of his first full season began to wear him down. Over his remaining 56 games, Ockimey batted just .152/.291/.313, bringing his final line down to a more pedestrian looking .226/.367/.425 with 18 home runs and 129 strikeouts in 117 games. FORT MYERS, Fla. -- The World Baseball Classic has provided a number of great moments over the past few weeks—take, for example, last night’s thriller between Puerto Rico and the Netherlands in the tournament’s first semifinal game, won by the Puerto Ricans in the 11th in walk-off fashion. But it’s easy to forget that the tournament’s first game was also one of its most exciting—a stunning upset that took place in the wee hours of the morning here in the States. And it may be even easier to forget that a Red Sox minor leaguer played a crucial part in that contest’s climactic moment. Team Israel entered the 2017 World Baseball Classic as the longest shot in the 16-team field to win the tournament, but the club put the baseball world on notice with a shocking upset of Pool A host Korea on March 6, with Red Sox outfielder Mike Meyers scampering across home in the top of the 10th with the deciding run in a 2-1 victory. The SoxProspects.com staff was down in Fort Myers on their annual spring training trip last week. Content from that trip has already begun to roll out and will continue over the next several weeks including scouting reports, video, and more. SoxProspects.com Director of Scouting Ian Cundall was among the crew down there, and he put out his first edition of his Notes from the Field column this past week. The notes are headlined by our second-ranked prospect, third baseman Rafael Devers (pictured, right), but there are also notes on some lesser known prospects, including right-hander Victor Garcia, lefty Oddanier Mosqueda, shortstop Santiago Espinal, and more. The staff was also cranking out tons of video. Be sure to follow the main SoxProspects account on Twitter and Facebook, but also make sure to follow all of the staff members as well. The must-watch video came when 2016 12th-overall pick and SoxProspects.com third-ranked prospect, lefty Jason Groome, took the mound. Here is the video (taken on Periscope) from both his first inning and his second inning, providing a great look at the highly touted prospect. In this outing, he threw 2 2/3 shutout innings with a walk and two strikeouts. Cundall had the gun on him and reported his fastball was 90-92 mph, his changeup was 80-82 mph, and his curveball was 74-78 mph. I continue to be very impressed with his curveball and it seems as though Ian was too also noting that his changeup has shown improvement. PORT CHARLOTTE, Fla. -- SoxProspects.com Director of Scouting Ian Cundall arrived in Fort Myers on Monday for the start of the annual SoxProspects staff trip to minor league camp. Here are his notes from his first two days in minor league camp, including the start of games on Wednesday. 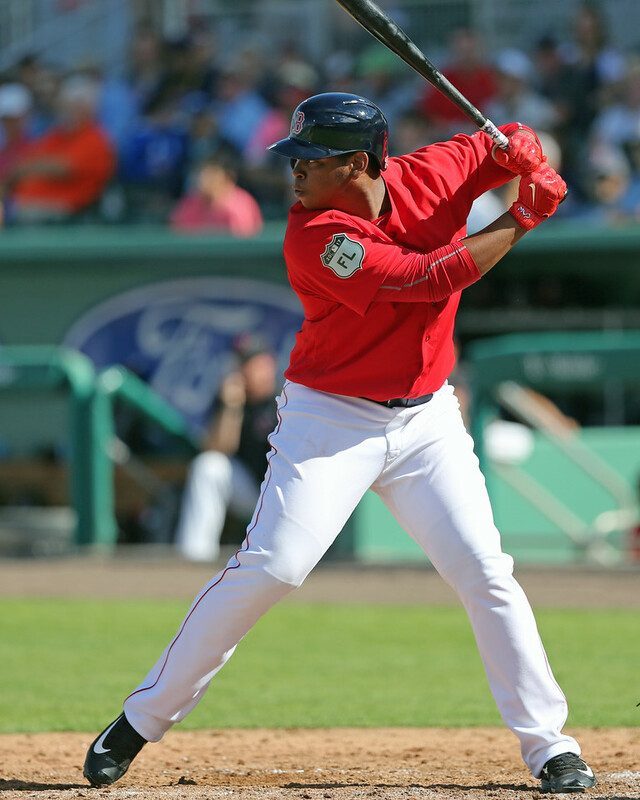 - The top prospect in minor league camp upon being reassigned from major league camp that day, third baseman Rafael Devers put on an impressive display during batting practice, launching several home runs to right field onto the roof of the batting cages. What is remarkable about Devers’ power is how easily he generates it, with such little movement. His swing starts quiet, but then explodes into the ball as he clears his hips and uses his remarkable bat speed to drive the ball with backspin to the pull side. - The morning fielding drills and batting practice provided a first look at second baseman Josh Tobias, who was acquired in December from the Phillies for Clay Buchholz. Tobias is undersized, listed at 5-foot-9, 195 pounds, and has a sturdy, physically mature build. He has a strong lower half and minimal remaining projection. A switch hitter, Tobias starts open and utilizes a slight leg lift from both sides of the plate. He showed off more power and a longer swing from the right side, while he was shorter and more direct to the ball and more line drive-oriented from the left. In the most recent episode of the SoxProspects.com podcast, executive editor Chris Hatfield, managing editor Matt Huegel, and director of scouting Ian Cundall detail what they're looking forward to in the group's annual trip to spring training. The Red Sox made their first round of cuts from the spring training roster on Tuesday. 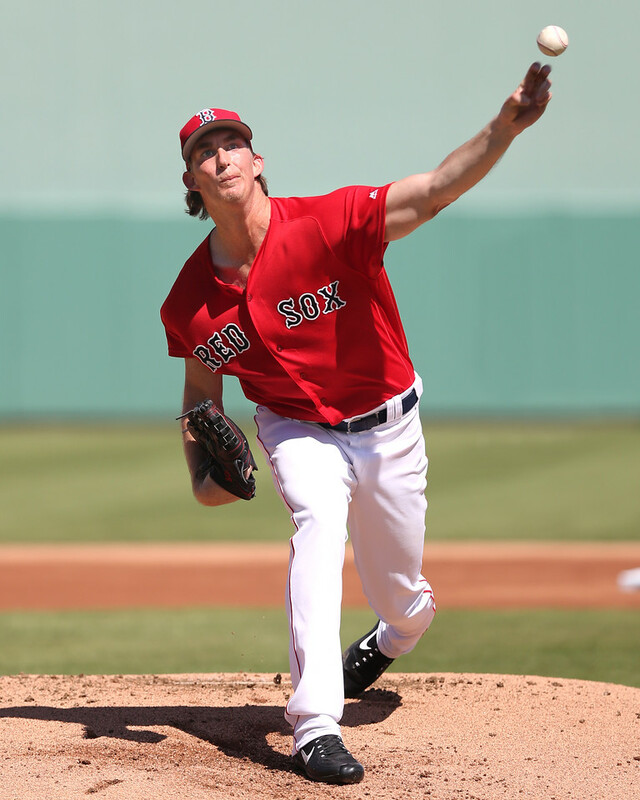 Left-handers Henry Owens (pictured) and Brian Johnson were optioned to Pawtucket alongside right-hander Brandon Workman while number two prospect third baseman Rafael Devers, outfielder Junior Lake, and catcher Jordan Procyshen were reassigned to minor league camp. From Fort Myers and the delightful Hampton Inn. Chris and Ian deal with the unseasonably chilly weather (for Florida) and talk about the early minors spring training games. We have a Christopher Acosta update. Long-time listener and returning emailer Joe clears the air. Finally, Chris and Ian contemplate the challenge of developing good major league players, even for bullpen positions. in response to an email from Rich. Listen In! With winter weather clinging bitterly to Boston, Chris, Matt and Ian look ahead to their spring training trip. Up first is an overview of what the guys are looking forward to seeing when they get to the balmy summer climes of the Fort. And then from the mailbag, listener Joe calls out the lack of statistical context when judging the flukiness of Rusney Castillo's winter revival. Finally, they lament the end of the beloved Blu Sushi (at least at the location frequented by the staff) and wonder whether Brahma Sushi can compare. 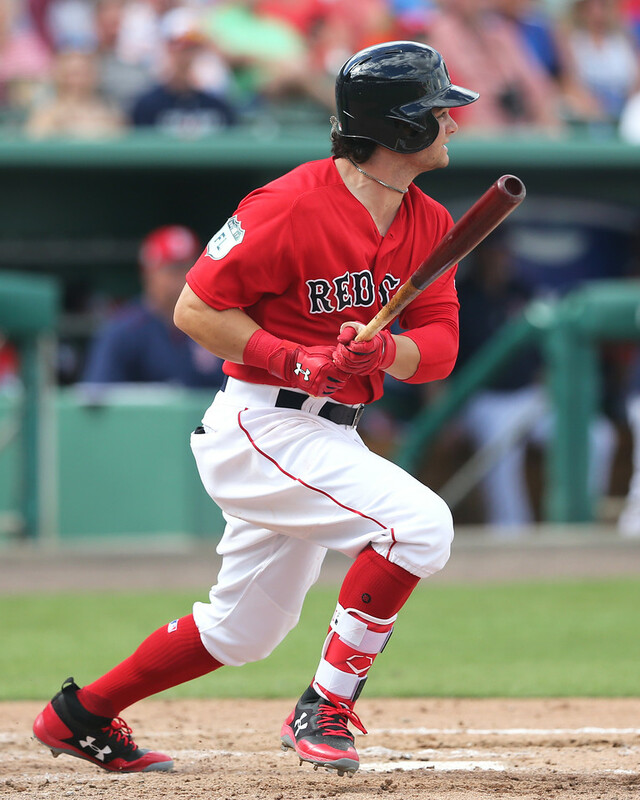 Fort Report: Benintendi to bat third in Boston? 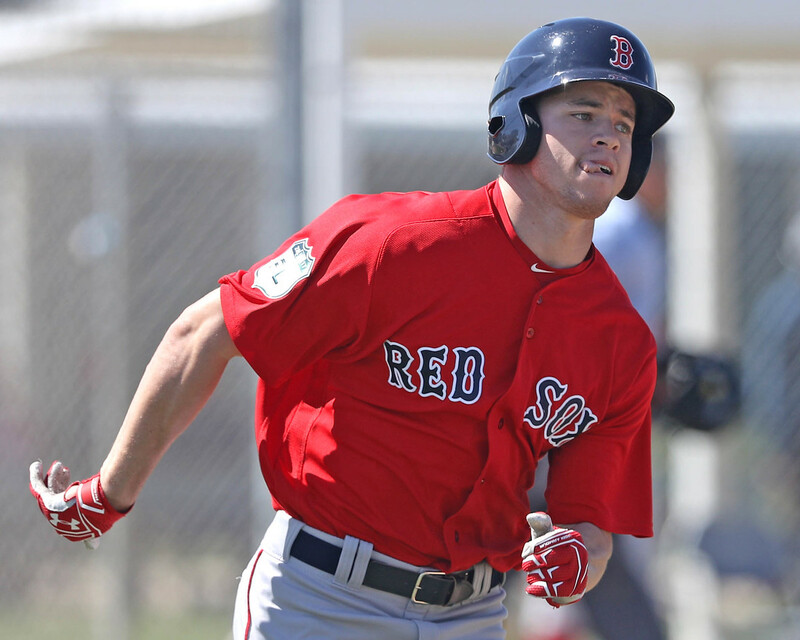 As a consensus top prospect in the game, Andrew Benintendi (pictured) has drawn plenty of attention in spring training. On top of that, he's been crushing the ball to the tune of a .370/.414/.778 line in nine games. Red Sox manager John Farrell noted that he is considering batting Benintendi third in Boston's lineup, where his left-handed bat would help balance out the righty-heavy top of the Red Sox lineup. Left-hander Henry Owens has struggled tremendously with his control in recent seasons and this trend has continued into spring training this year as Owens has walked 12 batters and allowed 13 runs in just 7 1/3 innings. However, the Red Sox still believe in Owens' potential and are not ready to give up on the 24-year-old. Owens' struggles have allowed other pitchers to move up the depth chart in the battle to be Boston's seventh starter. Kyle Kendrick is one such pitcher and, since signing with the Red Sox, has impressed in the Grapefruit League. In 13 innings this spring, Kendrick has a 2.08 ERA with 10 strikeouts and three walks. With spring training in full swing, Boston's top starting pitchers saw their first action this week. Minor leaguers, meanwhile, got some work in as their spring training schedule looms. 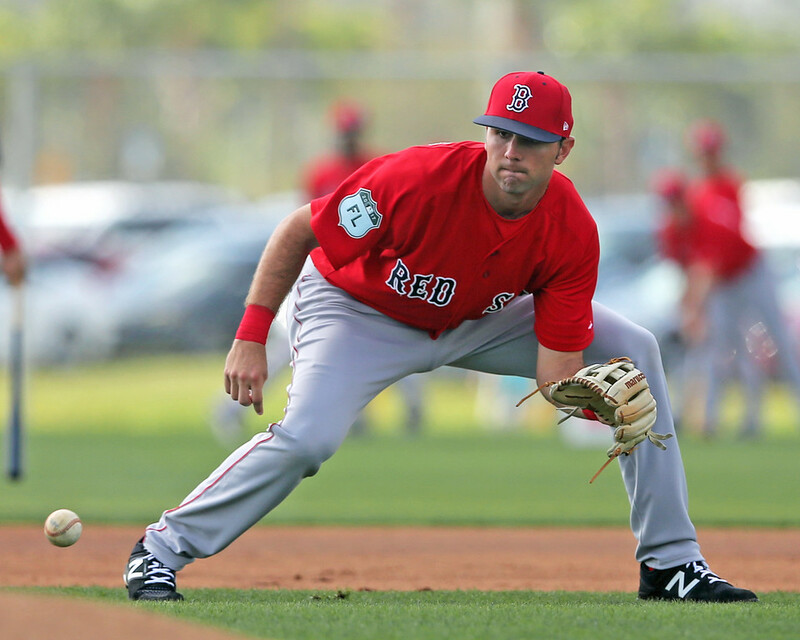 The Pawtucket Red Sox tweeted out the full minor league spring training schedule on Wednesday. The spring slate kicks off on March 15 with the Sox minor leaguers taking on the Rays' farmhands. Rob Bradford of WEEI.com praised the early spring success of Sam Travis, noting that his power display so far and his future promise is a sign as to why the Red Sox may not have gone after Edwin Encarnacion for a long-term contract this offseason. Although the high-profile trades of prospects last season and this offseason have thinned the talent in the farm system considerably, MILB.com ranked the Red Sox minor league system eighth in baseball for talent aged 21 and under heading into 2017. As we often mention, SoxProspects.com has been providing free content to Red Sox Nation since 2003. We earn a little bit of revenue from our ads, but that has declined in recent years as Google Ad revenue rates have decreased. Unfortunately, that revenue is generally not enough to cover our costs, which include travel expenses to scout games in New England, Virginia, South Carolina, and Florida, and technical expenses such as hardware, software, hosting fees, and subscriptions. We anticipate that our total costs could approach $20,000 in 2017. Over the course of 2017, we’re hoping to raise $10,000 to help cover these costs. We’ve come close to raising this amount in each of the the past couple years thanks to donations from our generous readers. It’s worth noting that similar baseball prospect sites charge for content in the range of $35 to $70 per year. We'd like to think that we'd be worthy of comparable rates if we ever decided to go that route, but we’d prefer to operate on ad revenue and donations if we can. If you’re able donate, we thank you profusely - it's truly appreciated! Beginning this week, we will be publishing two editions of the Fort Report/Notes columns every week through the end of the season. They will run every Monday and Thursday and cover all the relevant news for the Red Sox farm system. Chris, Matt, and Ian returned with their first Podcast of 2017, as they went over the current state of the system while also digging into the non-roster invitees currently in camp. The guys also reviewed some of the big winter trades which have left the system exceedingly thinner at the top. The site also has updated scouting reports on seven Lowell Spinners, highlighted by Bobby Dalbec. As a reminder, be sure to check out our new Scouting Log which will be updated every time new scouting information is available. Chris reports that more reports are in the pipeline, hopefully coming out this week, with at least one more top-ten prospect in the group. 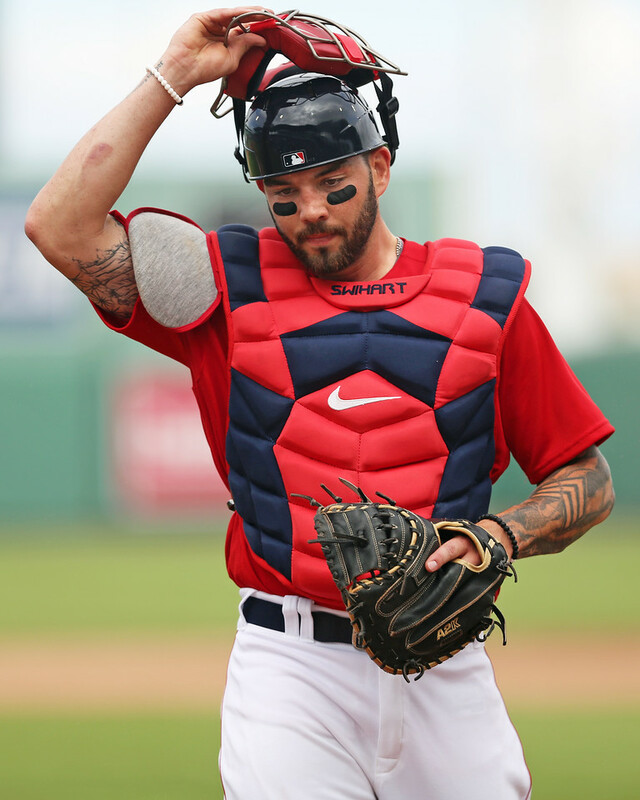 After an initial scare a couple weeks ago in which he struggled to throw the ball back to the pitcher, Blake Swihart (pictured, right) has looked good behind the plate so far this spring. Nick Cafardo of The Boston Globe noted that Swihart looks comfortable defensively, and he spoke with manager John Farrell, who noted that Swihart's pitch-framing skills have improved. 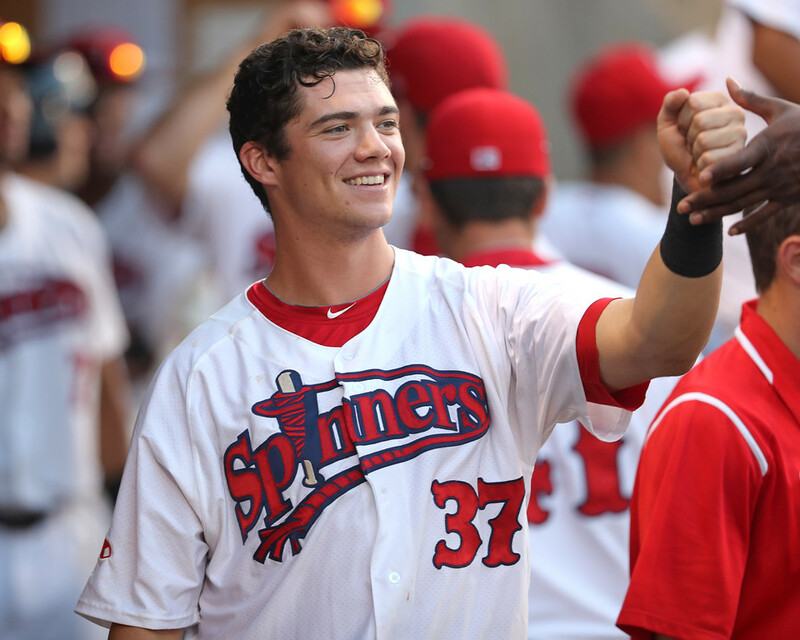 With the calendar turning to March, we've posted some scouting report updates for seven Lowell Spinners, highlighted by the fifth-ranked prospect in the system, third baseman Bobby Dalbec.